Love and crime. Is it possible to have one without the other? Is all crime the result of failed or distorted relationships, whether parental, romantic or familial? I believe it is, and this month’s novels offer an interesting range of relationships to bolster my view. 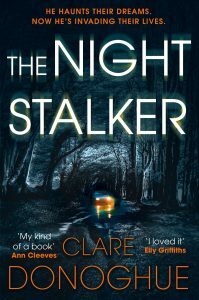 After some necessary introductory pages, Clare Donoghue’s The Night Stalker opens with a chilling nightmare. A young woman is driving up a narrow country road in Somerset in terrible weather, imaging all kinds of horrors. 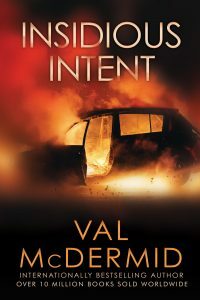 Oncoming cars with headlights on blinding full beam, wild animals almost crashing into her, and memories of local folklore about supernatural beings devouring unsuspecting humans make her edgy but she gets to within fifteen minutes of home in safety before real danger threatens and engulfs her. 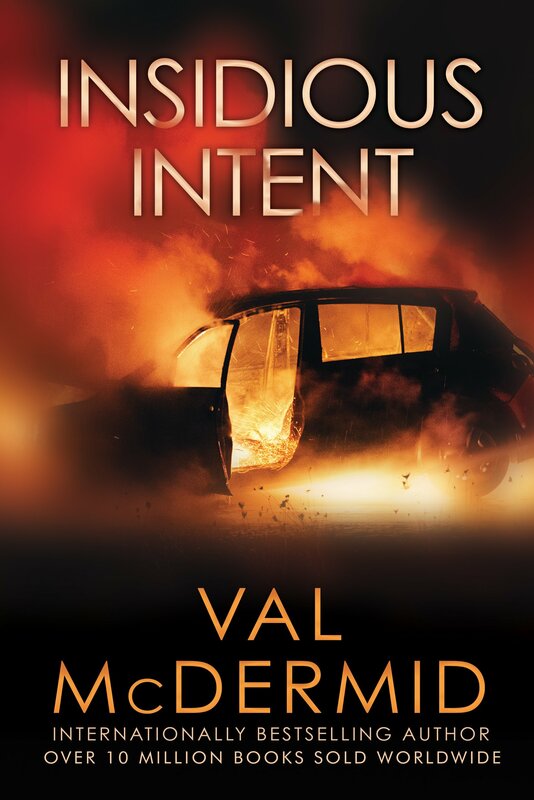 The local cops treat the outcome as a hit-and-run accident, probably involving drink, until someone in power calls in DI Mike Lockyer and Sergeant Jane Bennett from London to pep up the lackadaisical investigation. The complications of their families are mirrored by those of the victim and the locals who grew up with her. 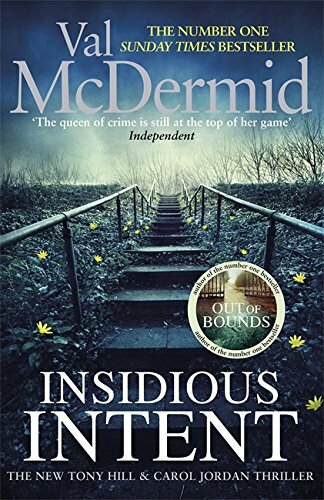 This is a tense and effective police procedural set in countryside that is as beautiful as it is full of scary stories and weird characters acting out their distress in dangerous ways. The two families at the heart of Sophie Hannah’s Did You See Melody? provide good contrasts to each other. 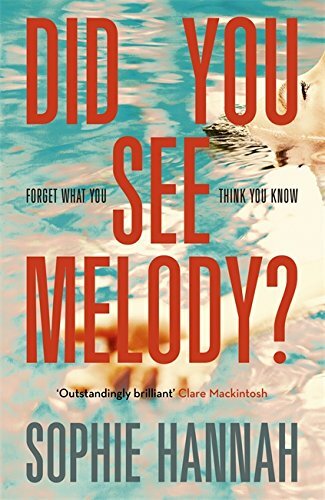 Cara Burrows, the first-person narrator from Hertford, England, is so furious with her husband and adolescent children that she has spent a third of their savings on a fortnight in an ultra-luxurious spa in Arizona. Hannah has been particularly clever in her descriptions of this place, both offering her readers the pleasures of vicarious spending and showing how close to hell such a holiday must be. While trying to relax amid the expensive detritus of forcible stress-reduction, Cara becomes embroiled in a long-running American cause celebre: years ago a couple were imprisoned for the murder of their daughter, Melody, after a campaign by a powerful television journalist. No body was ever found and there have been sightings over the years, but no one has been able to prove that Melody is still alive and her parents are in gaol. Snippets of the young Melody’s diary are provided so that the reader knows what she suffered. Hannah is an excellent writer, whose deceptively simple style makes the narrative fast-moving and engaging. 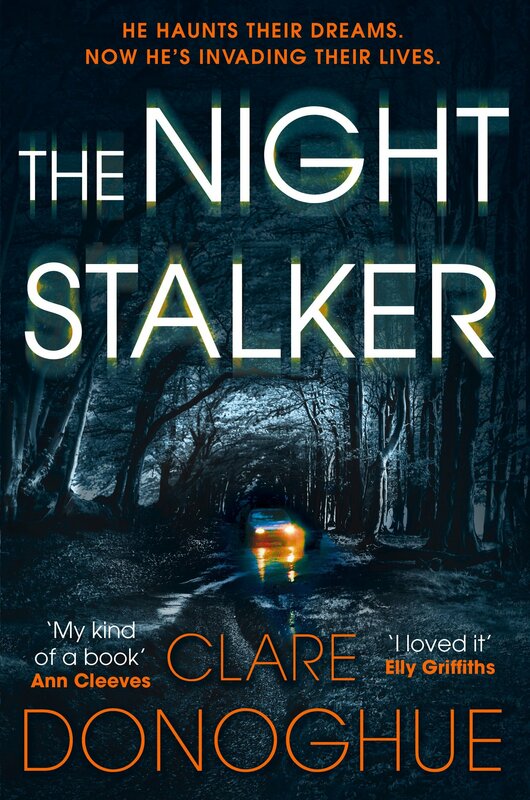 This is a clever novel with a brilliant and disturbing twist that will keep readers thinking for a long time after they have finished the last page. 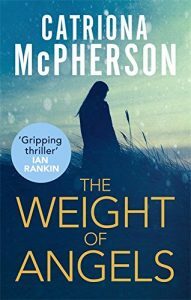 Catriona McPherson also reveals truths about some quite horrible relationships in The Weight of Angels. This strays into the territory of is-she-mad-or-is-her-husband-a-psychopath? but it is so well written and entertaining that it rises a long way above its sub-genre. Ali McGovern’s handsome husband, Marco, persuades her to apply for a job as beauty- and art-therapist at a local, privately funded clinic for mentally ill patients. She lost her own beauty salon and their house when the debts on his failed restaurant business were called in. Now she, Marco, and their similarly beautiful son, Angelo, are living in a miserable rented cottage and needing work. When she gets the job at the clinic in spite of the deficiencies of her cv, Marco miraculously also finds work and things begin to look up. But nothing is quite as it seems at the clinic – or at home. Ali is a delightful character and her dealings with her adolescent son are convincing and moving. As she finds out about the backgrounds of her clients at the clinic, she reveals more of her own private tragedy. McPherson mixes the tragedy with humour and raises the tension with every chapter so that the ending comes as a huge relief. She does give readers police officers but she also shows how to use the old detective-story convention of an amateur sleuth in a thoroughly modern way. 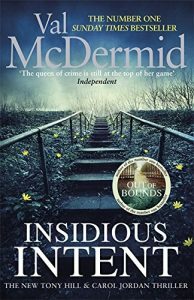 This novel is as far away from Tartan Noir as possible, but it is also full of day-to-day realism and absolutely credible relationships. 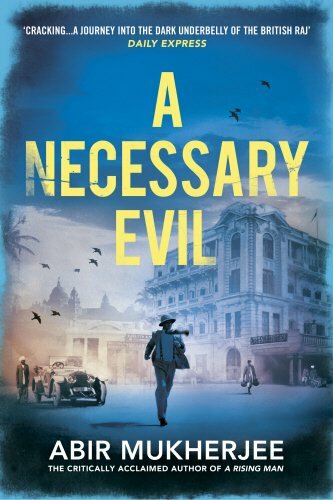 Another writer who shows how to inject unexpected warmth into credible stories of murder is Abir Mukherjee, who sets his novels in 1920’s India, when the British Raj was less confident than it had been but was still in charge. 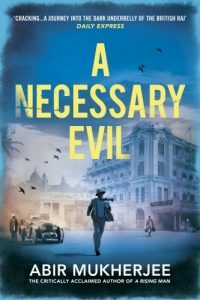 A Necessary Evil features the two detectives from his first novel A Rising Man, Captain Sam Wyndham and Surrender-not Banerjee, whose relationship works well and is full of tolerance and humour. They become involved in their current case after the assassination of the heir to the princely state of Sambalpore. This is an almost surreal place where execution by means of elephant’s trampling exists alongside a positive army of uniformed English nannies looking after the Maharajah’s dozens of children. Full of colour, wit and clever phrasing, this novel should be only the second in a long, long series.